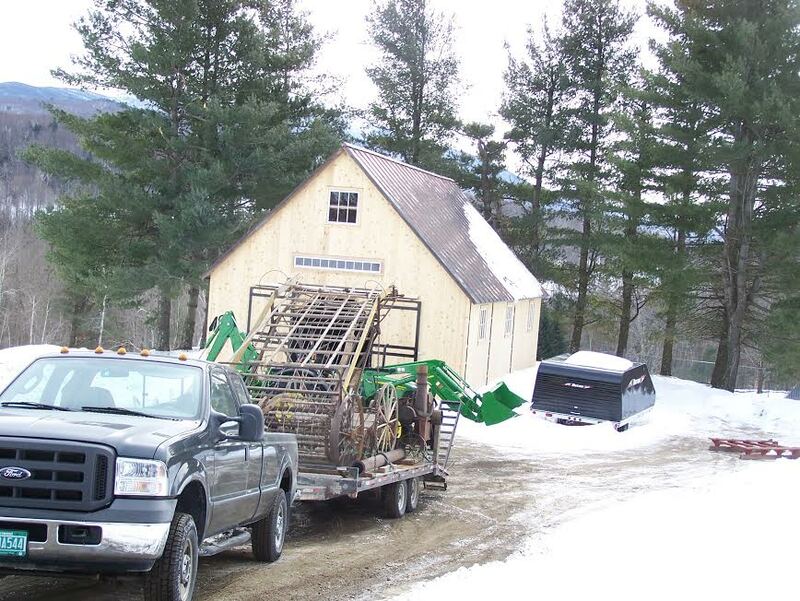 We spent five cold and snowy weeks preparing this 1770s gunstock barn frame from Ira, Vermont for dismantling. 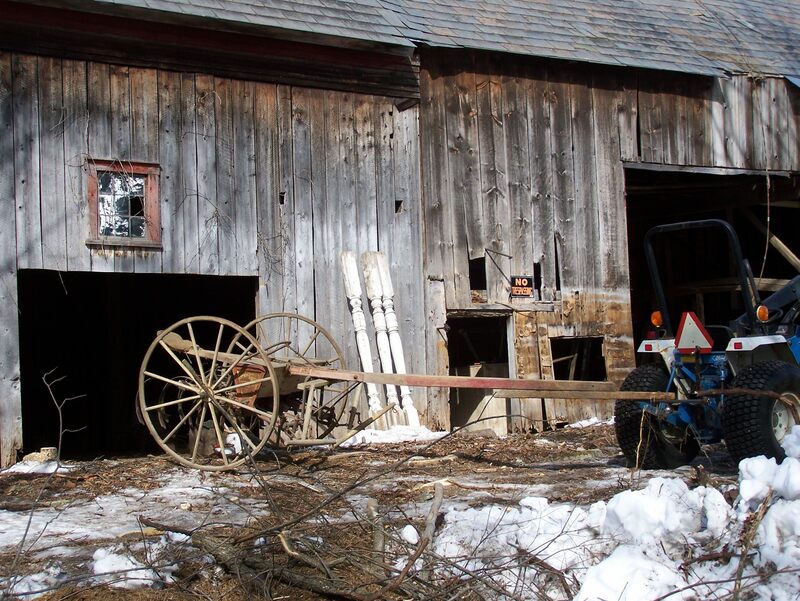 With a great team of five fellas, we tallied 370 hours clearing out the interior of the old barn of horse-drawn contents and everything else imaginable. 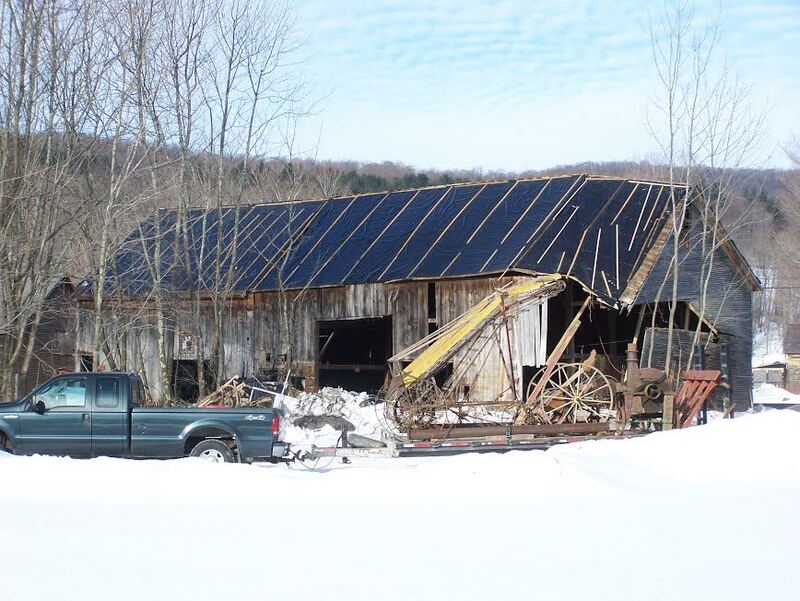 Removing the 40 square (a square is a 10′ x 10′ surface area) of slate roof took another 80 hours. We then put on a temporary protective roof, seen in the picture above, so the spring rains won’t damage the roof boards and timbers. At times it wasn’t easy, given the freezing temperatures and the mounting piles of snow. 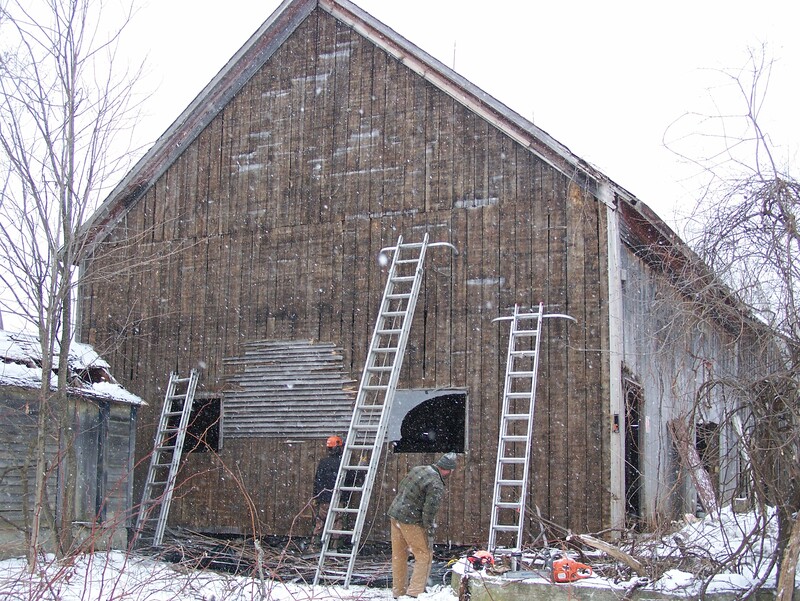 Here is a picture showing the take down of the slate roof in the snow. Half the slate is still on the left side of the roof. 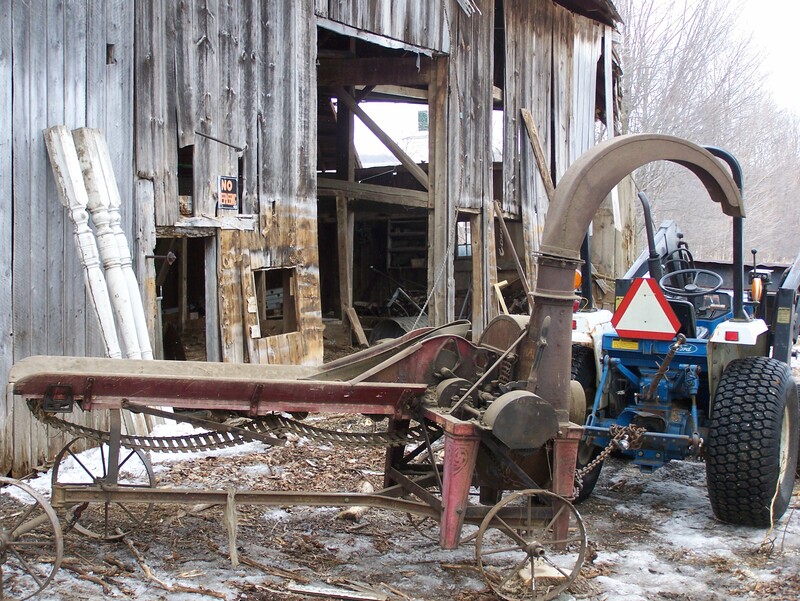 Part of what made this project particularly interesting is that the barn was full of antique farming equipment. 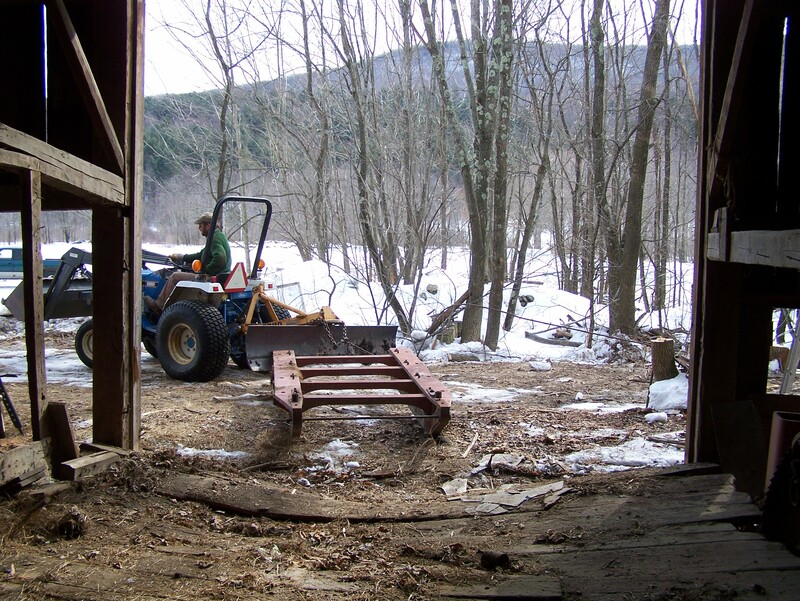 As we shoveled out the old hay and debris from each of the barn’s five bays, we got to inspect the equipment closely. 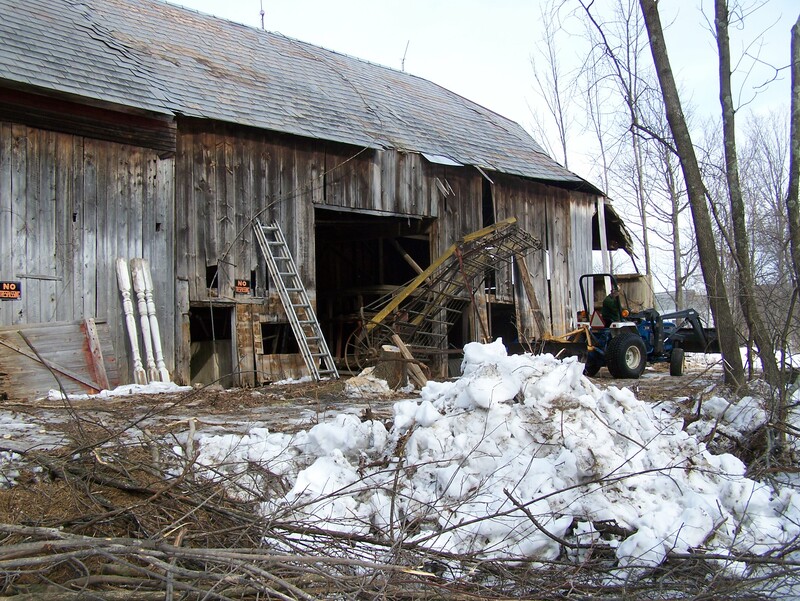 Much of it is in great condition and we dragged all of the equipment out into the field around the barn. Imagine the fun of cleaning up and inspecting equipment that had not seen the light of day since 1959! 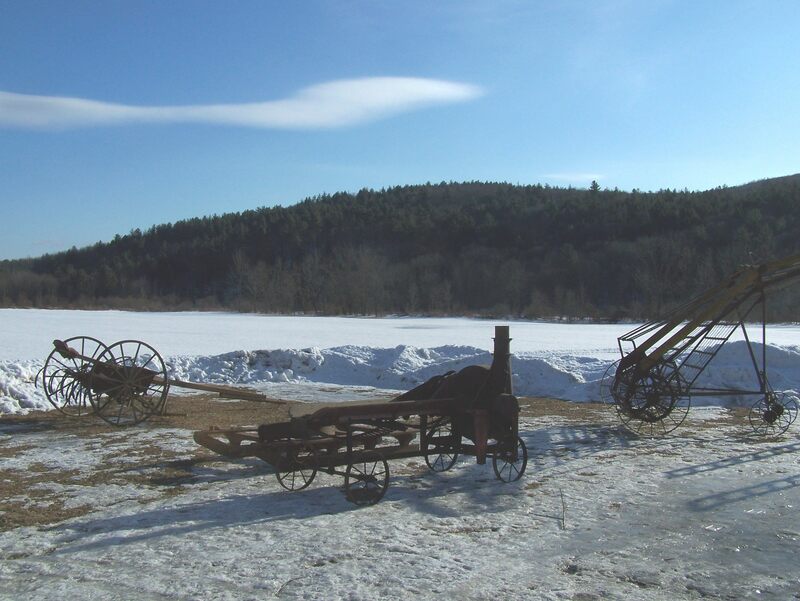 When these machines were last used, they were harnessed to horses and pulled to the fields nearby. 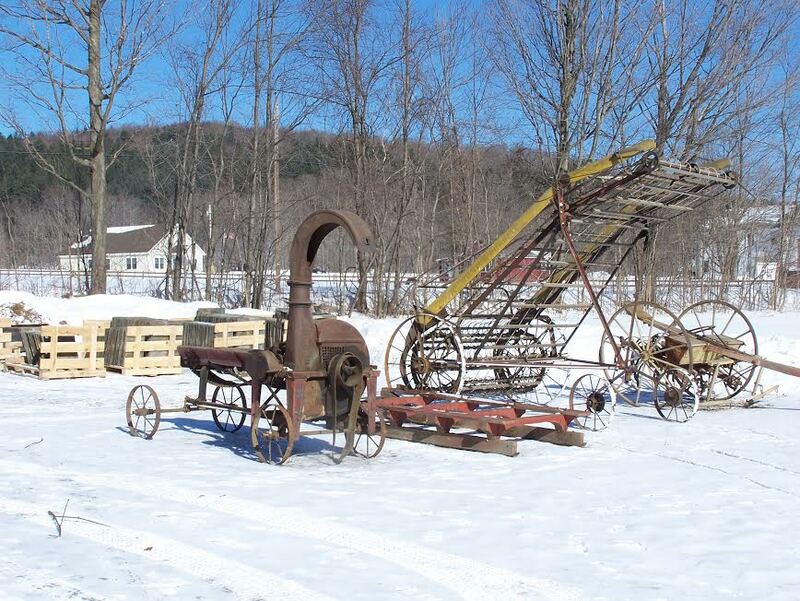 Corn chopper and hay rake. Pallets of slate in background. 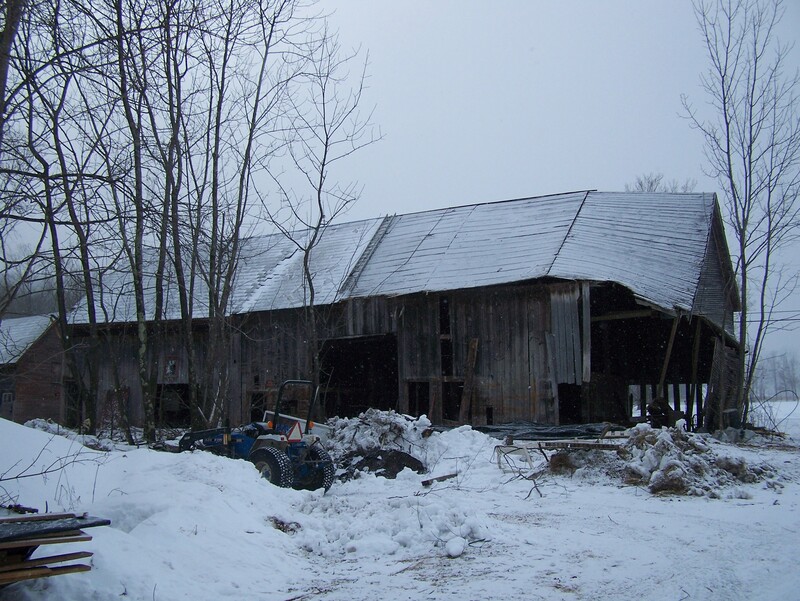 With the barn emptied out and the rugged beech timbers sighing relief from 15 tons of slate removed, the next step is to dismantle the antique hewn beams and truck the frame to the shop for restoration. We’ll dismantle the frame in late April. First, we have to get rid of two feet of snow and survive mud season! Here are some more pictures of the treasures we removed from this antique timber frame. Removal of sheathing boards will have to wait for Phase Two. Stay tuned for Phase Two. We’ll let you know when we start dismantling this Vermont Republic frame from Ira! 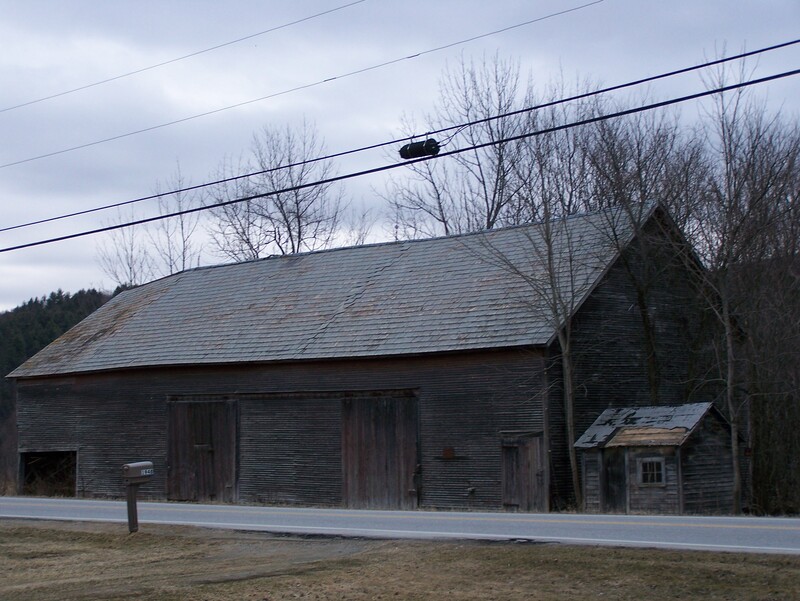 I’ll leave you with a fun fact: This little Vermont hamlet is named Ira after Ira Allen, brother of Ethan Allen, of the famed “Green Mountain Boys”. This entry was posted in Barn Raising, Green Mountain Timber Frames, Post and Beam, Sold Timber Frame Homes, Timber Frame Projects and tagged American heritage, barn for sale, barn frames, barn houses, barn restoration, barn style homes, custom barn home, Green Mountain Timber Frames, gunstock frame, gunstock timber frame, historic timber frames, Historical New England, New England history, old barns, old barns vermont, Post and Beam, timber frame vermont, timber frames Vermont, vermont timber frames, vermont timberframes by Green Mountain Timber Frames. Bookmark the permalink. Go, go, go Danny Boy!